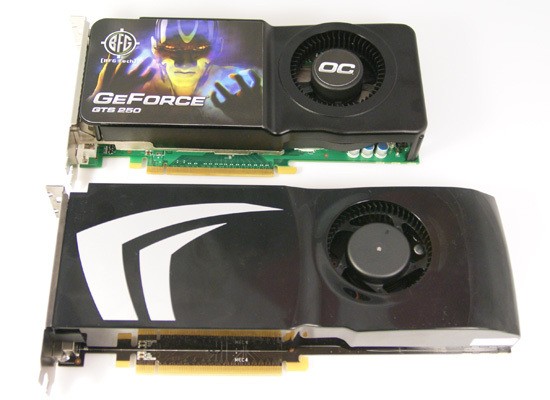 In the beginning there was the GeForce 8800 GT, and we were happy. Then, we then got a faster version: the 8800 GTS 512MB. It was more expensive, but we were still happy. The trip gets a little more trippy when you look at what happened on the eve of the Radeon HD 4850 launch. NVIDIA introduced a slightly faster version of the 9800 GTX called the 9800 GTX+. 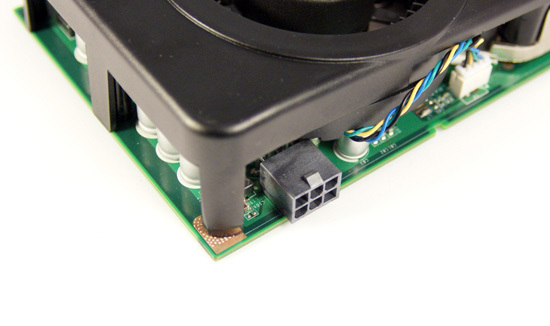 Note that this was the smallest name change in the timeline up to this point, but it was the biggest design change; this mild overclock was enabled by a die shrink to 55nm. All of that brings us to today where NVIDIA is taking the 9800 GTX+ and calling it a GeForce GTS 250. You can get it with either 512MB or 1GB of GDDR3 memory, both clocked at 2.2GHz. 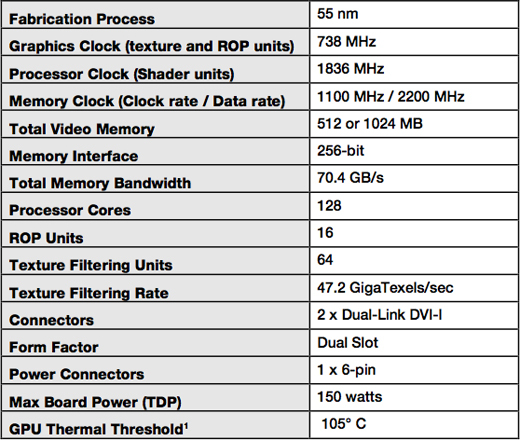 The core and shader clocks remain the same at 738MHz and 1.836GHz respectively. For all intents and purposes, this thing should perform like a 9800 GTX+. The new board design isn't required for the 512MB cards unfortunately, so chances are that those cards will just be rebranded 9800 GTX+s. The 512MB cards will sell for $129 while the 1GB cards will sell for $149. 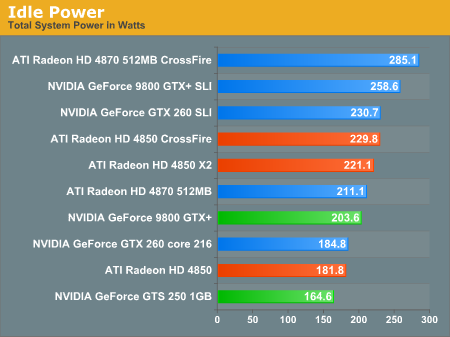 While the GPU is still a 55nm G92b, this is a much more mature yielding chip now than when the 9800 GTX+ first launched and thus power consumption is lower. 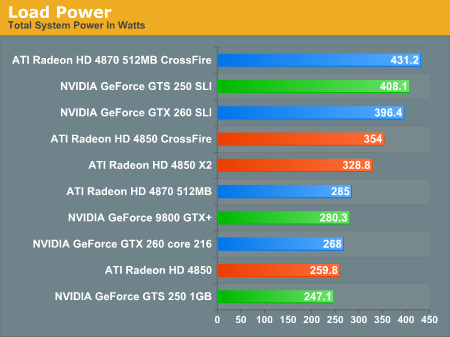 With GPU and GDDR3 yields higher, power is lower and board costs can be driven down as well. The components on the board draw a little less power all culminating in a GPU that will somehow contribute to saving the planet a little better than the Radeon HD 4850. These are the biggest gains you'll see from this GPU today. It's still a 9800 GTX+.